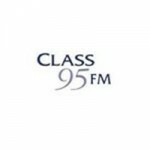 Class 95.0 FM is a radio station located in Singapore capital city. You will enjoy a lot of great mixes from the best songs in different music genres. Don't miss the great music and radio programs from this awesome station.